Listen, enjoy and dance to music performed by both emerging talent and popular San Diego performers. 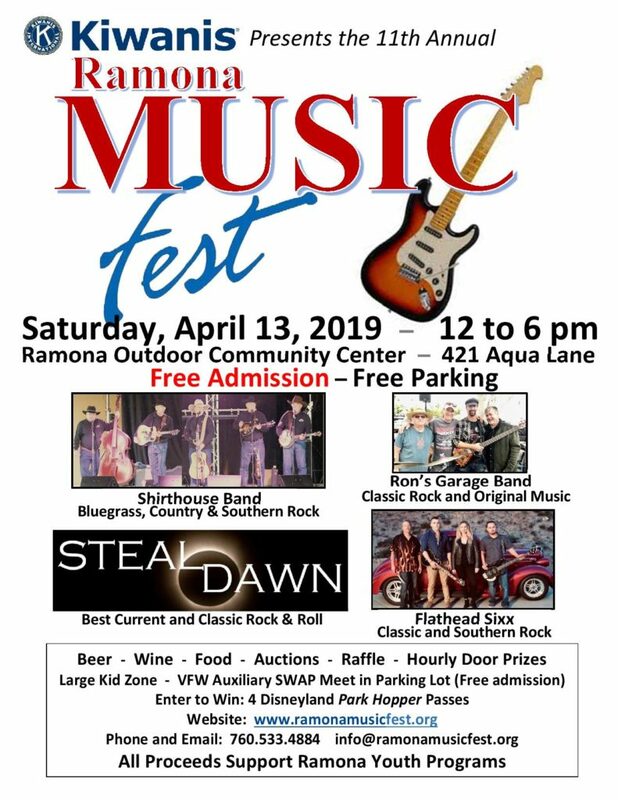 On April 13, 2019 from 12:00pm to 6:00pm at Ramona Rodeo Grounds, with FREE admission, you can dance along with headliner band, Ron’s Garage Band and Steal Dawn. This lineup will play a hot set of classic rock through the 90’s that will get you dancing and singing along. Local favorites, Flathead Sixx and Shirthouse Band will open with more classic and southern rock, country and bluegrass! Come cheer on emerging local talent, as well as outstanding performers, and have a great day for the WHOLE family! 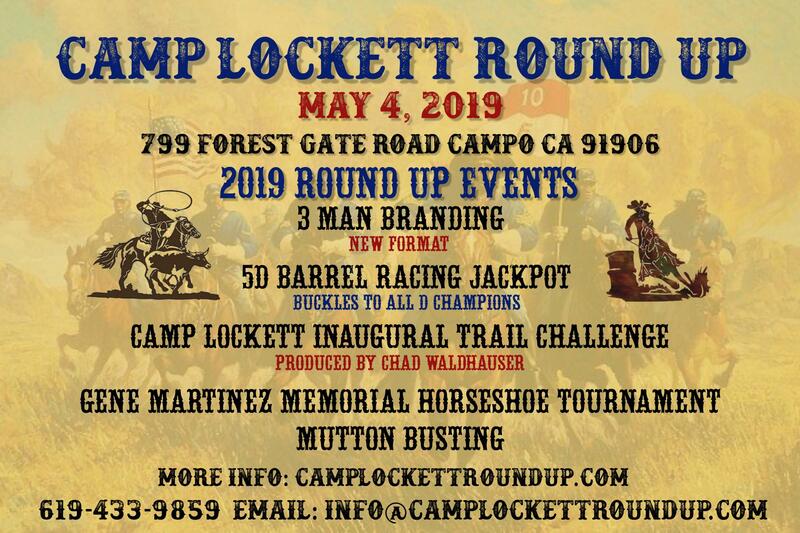 FREE admission means you can bring the whole family and still have money available to enter and WIN great raffles and auctions. Just by showing up you’ll be entered to win a door prize offered EVERY HOUR! You’ll surely go home a winner! Bring the kids and bring ’em hungry!! It is all for a GREAT cause!! PRIZES!! Enter to win a family four-pack of Disneyland Park Hopper passes! There are many prizes to be won including valuable merchandise and services offered through our raffle and auctions. Many items are donated by community-minded merchants and business people who support Ramona Kiwanis service projects and scholarships! Regular Raffle If your ticket number is pulled,you win the prize (multiple prizes expected). Door Prize upon arrival, be sure to get your door prize ticket and EVERY hour a door prize ticket will be pulled, and if your ticket is pulled, you win that hour’s prize. Family Four Pack Park Hopper Passes to Disneyland and California Adventures, valued at over $600! 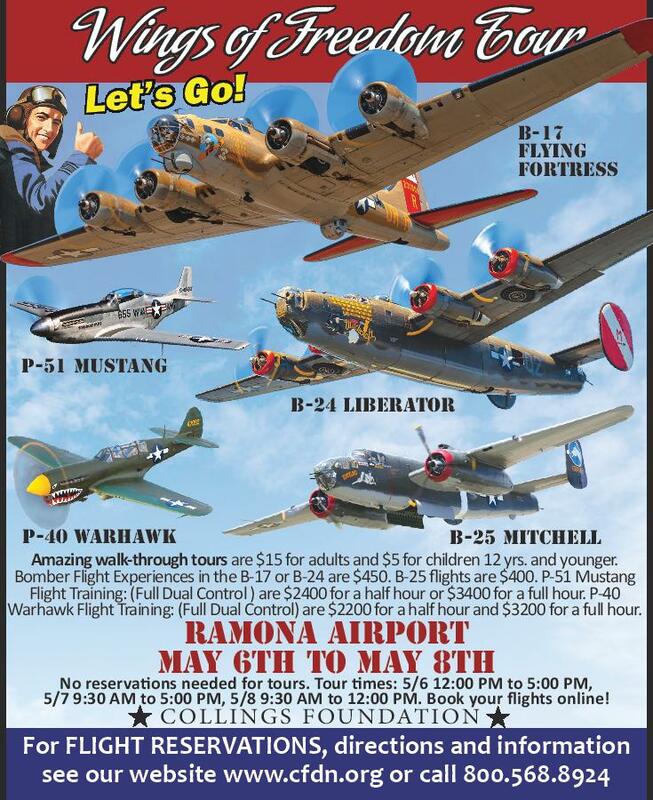 The 2019 Ramona American Graffiti Cruise Nights begin Thursday, April 18th! Classic cars, moderns, big-rigs and more may be found cruising up and down the main drag, turning around at Sixth Street. Many look forward to coming together for the weekly event, enjoying the camaraderie and festivity that the event brings to town. Businesses often stay open late, and some locations offer special deals just for Cruise nights. Once again, the Ramona American Graffiti Cruise will offer wristbands for sale. 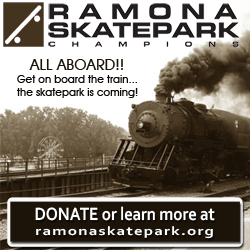 Wristbands are $5 each, and the sale of the bands goes to support the Ramona Senior Center. 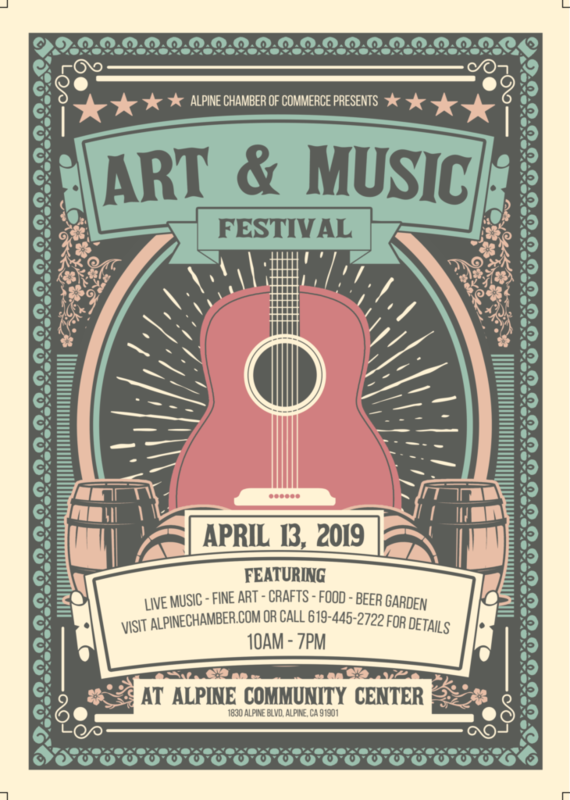 Wristbands can be purchased at Cheers, El Michoacan, La Cocina, Pamo Winery Tasting Room, PrintPost, Ramona Cafe, Reds, Whites & Brews, and Smoking Cannon Brewery. Or, call Leroy Clubb at 619-980-3647. 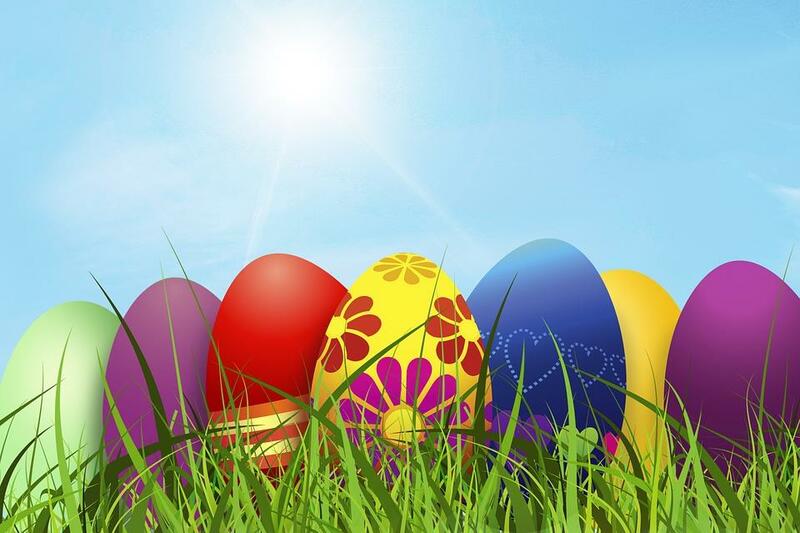 Community Easter Egg Hunt , 1 p.m. Friday 4/19/2019 at Collier Park, 626 E. St., Ramona. Participants should bring their own basket. Hosted by the Conrad Prebys Ramona Branch of the Boys & Girls Clubs of Greater San Diego, the egg hunt is free. Areas will be set up for different age groups starting at age 3. Three golden eggs will be among those set out. Each of the youngsters finding a golden egg will receive a prize basket. A $3 barbecue lunch of hot dogs, chips, and a drink will be at Noon. Those attending are encouraged to bring money for the youth club’s bake sale. Ramona VFW Post 3783 Auxiliary Easter Egg Hunt – 1 p.m., Easter Sunday, April 21, 2019 at VFW Post 3783 property, 2247 Kelly Ave. Zones will be set up for age groups ranging from toddlers to adults. Plastic eggs filled with candy for the children and gold golf balls that can be redeemed for a beverage for the adults. Photos with the Easter Bunny. Free. Open to the public. Come see history come alive at a FREE family event. Featuring live encampments with a pioneer family, medicine man, mountain man, Buffalo Soldier, Civil War soldiers, Cowboys, and Gun Slingers. Showdown at Sundown, and a local craft beer, wine, and cider festival. April 27 10AM-5PM and April 28 10AM-3PM. 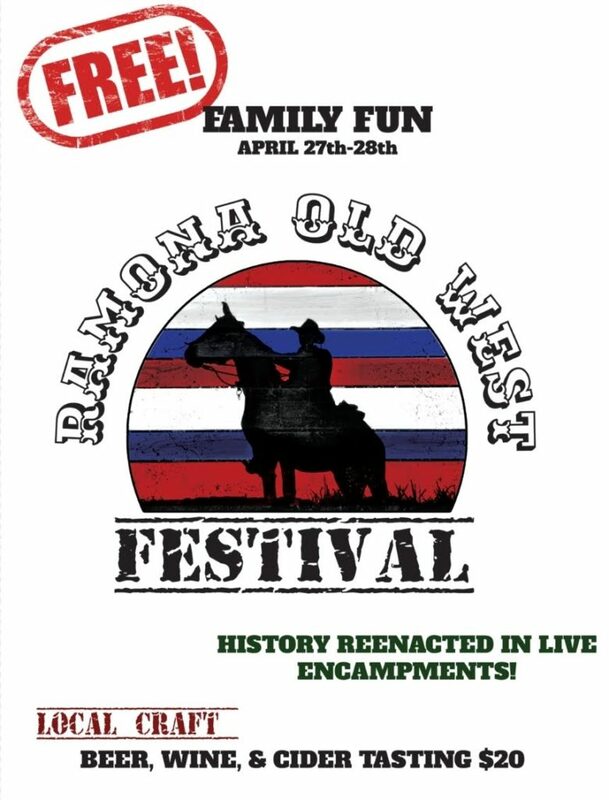 The Ramona Country Fair (presented by the Ramona Chamber of Commerce) and the Ramona Junior Fair are back together again in 2019, by popular demand! 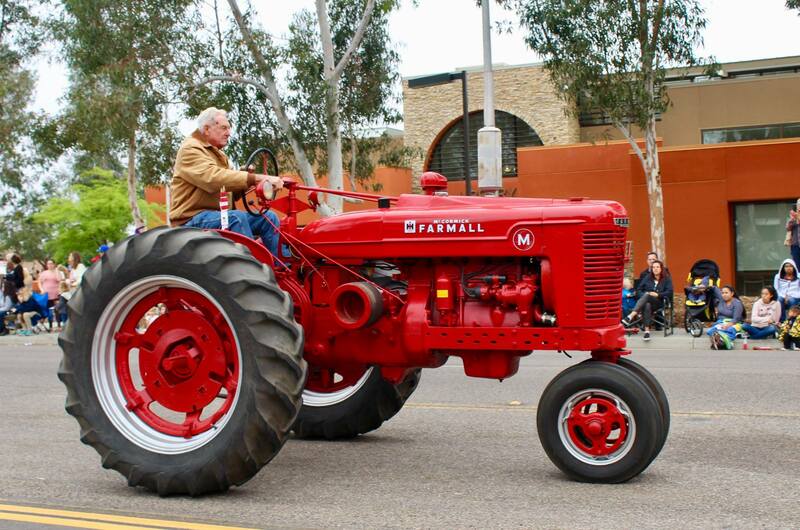 The Ramona Junior Fair will be from July 27 through August 4, and the Ramona Country Fair will be from August 1-4.